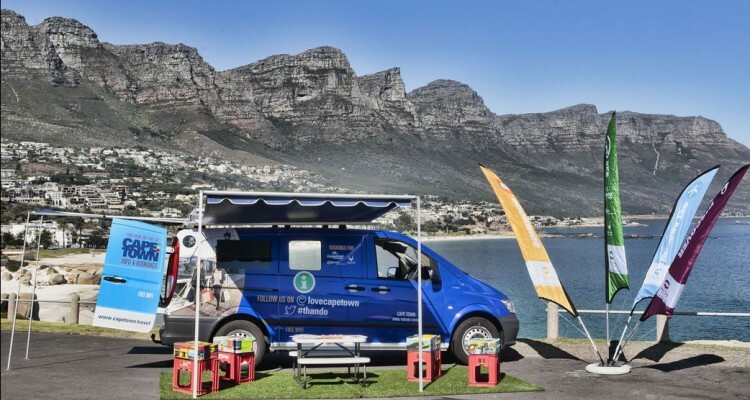 Cape Town Tourism’s new innovative mobile Visitor Information Centre was launched on Friday, 2 May 2014 at the opening of WTM Africa - a significant synergy as both the vehicle and the trade event are firsts for the continent of Africa. 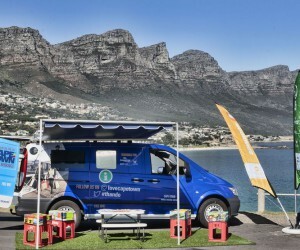 The specially-adapted, Cape Town Tourism-branded vehicle will be stationed at events, high visitor traffic areas and anywhere it is otherwise needed in a bid to meet travellers – and locals – wherever they are when needing information and booking assistance. Globally there is less and less of a focus on bricks and mortar visitor centres, as a digitally-minded generation of travellers habitually receive information where they are instead of going out to seek it. The Mobile Visitor Information Vehicle will be manned by informed Cape Town Tourism hosts and has a built-in office, to assist visitors in making a booking for any of our member products and SANParks establishments. Visitors can also buy tickets for events and shows via Computicket and Webtickets. The attractive chill-out area, featuring locally designed chairs and tables, will offer free Wi-Fi to all visitors engaging with the vehicle. An LCD screen will showcase elements of Cape Town and feature detailed maps. The Official Cape Town Visitor’s Guide will also be available for free, along with many other useful brochures, cleverly displayed on the inside of the open back doors of the van. The choice of a Mercedes Panel Van was deliberate as its Blue EFFICIENCY package optimises fuel consumption and reduced emissions, whilst boasting eco gear manual transmission and a diesel filter. The entire operations element of the unit will be solar powered, emphasizing once again the importance of Responsible Tourism. The vehicle is affectionately named Thando, which, in the local African language isiXhosa, is the word for love.